Use your mind power to place scales on a board, and form clever combinations of same color scales. Is there a better alternative to DragonScales: Chambers of the Dragon Whisperer? 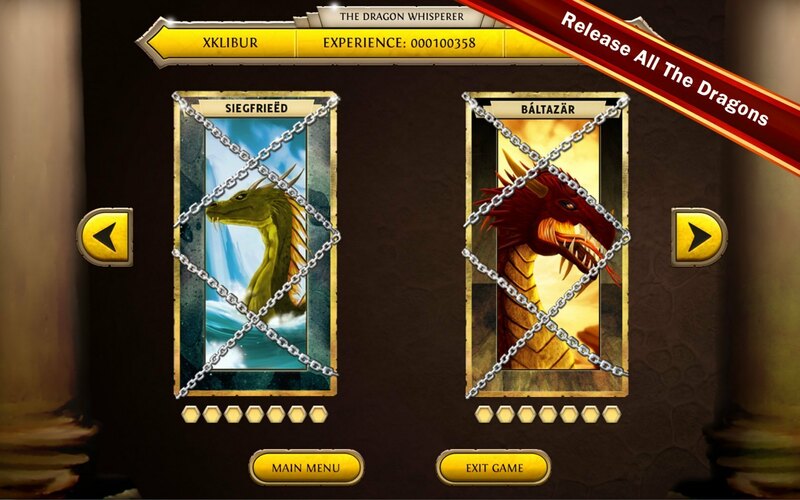 Is DragonScales: Chambers of the Dragon Whisperer really the best app in Puzzle category? Will DragonScales: Chambers of the Dragon Whisperer work good on macOS 10.13.4? DragonScales: Chambers of the Dragon Whisperer needs a review. Be the first to review this app and get the discussion started! DragonScales: Chambers of the Dragon Whisperer needs a rating. Be the first to rate this app and get the discussion started! In DragonScales: Chambers of the Dragon Whisperer use your mind power to place scales on a board, and form clever combinations of scales having the same color. Easy to learn, in minutes you'll be collecting scales, clearing mythical symbols, invoking supernatural items to cast attacks on the boards and release all the dragons. With its innovative approach and diverse challenges, DragonScales will provide you with fun sessions of brain-fitness and relax. 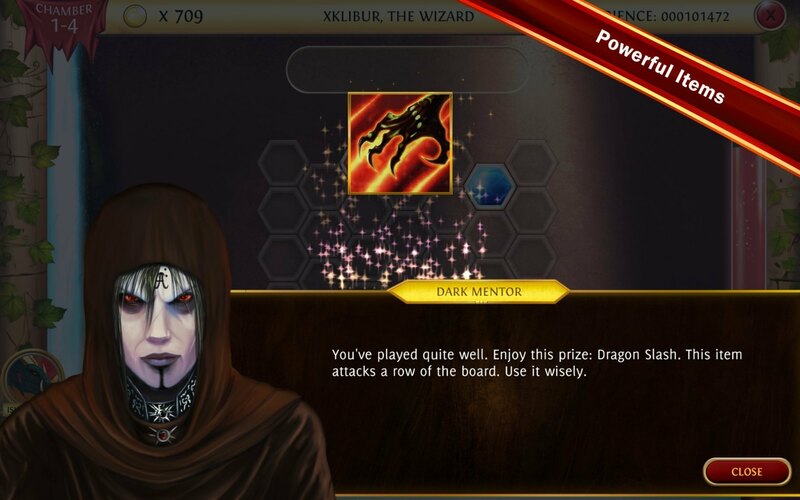 Features: Easy to learn: You'll receive introductory lessons by the Dark Mentor of dragons, to learn the basics of DragonScales' intuitive gameplay. Multiple game modes: Each of the 8 dragons of the game introduces specific challenges: solve shaped boards, capture special cross scales, clear mythical symbols, and many more gaming goals. 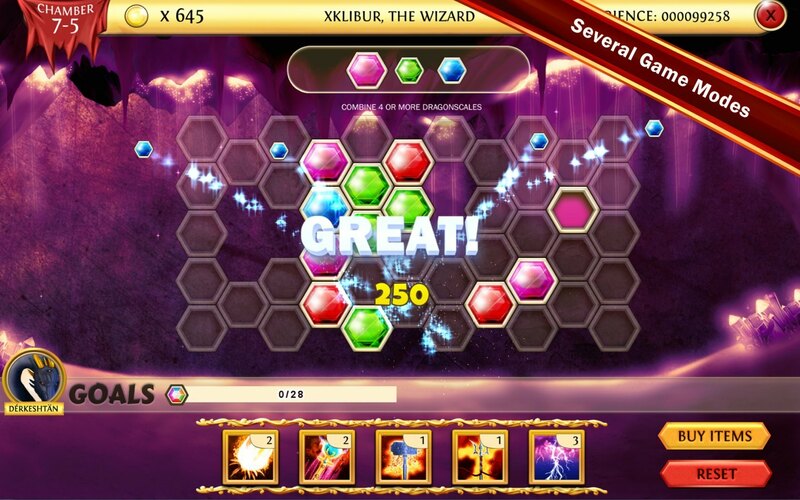 HD Graphics: Enjoy awesome graphical art to recreate an immersive experience. Challenging chambers: The degree of difficulty increases as you progress. Are you fast enough to play your scales before the moon bar depletes? Are you ready to devise crafty strategies for clearing mythical symbols? Test your strategies against all of the game's trials. 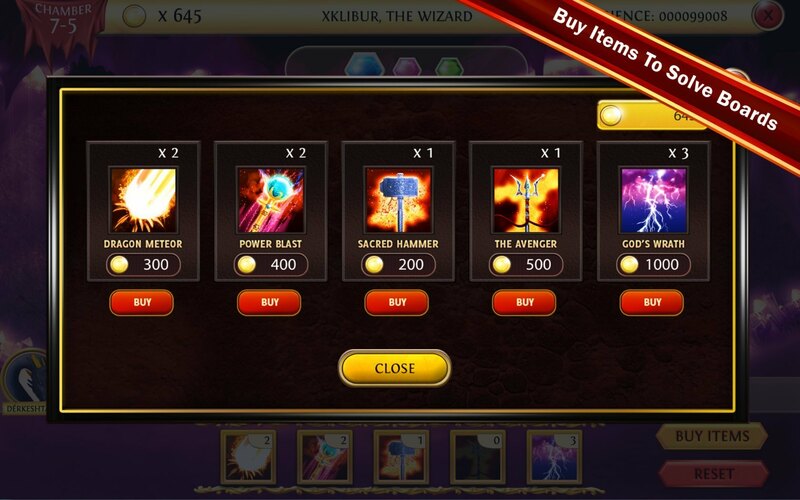 Powerful items: Complete chambers to receive items and coins to buy Sacred Hammers, Dragon Meteors, Power Blasts, and many more items to help you during your play. Perfect for brain-fitness: DragonScales provides a rich and relaxed gaming experience, perfect to train your mind and hone your problem-solving skills.